2) Elegencia bowl number 2 1.5 liter -9.3 cm (h) x 23.5 (d) limited realese RM 64.60. This two bowl came with Elegencia Petit Pour only with RM16.90 nett. Buy Both and Enjoy saving with 15 % and plus 4/ elegencia Platter at RM 33.60 (retail RM 48.00) save up to 30 %. Ta Pau or bungkus (both meaning 'take-away') is very much an Asian practice for breakfast,lunch,dinner or supper! its the easy way to have a delicious and fast meal. The plastic bag or styrofoam container is the normal way to pack even steaming-hot foods,but do you realise how these can endanger our health and the enviroment? .Styrofoam containers leach toxic chemicals into food (especially when heated in a microwave)that threaten our health and reproductive systems . .Styrene is classified as a possible human carcinogen (cancer-causing)by the EPA and by the Internatoinal Agency for Research on Cancer (IARC). .Long-term exposure to styrene affects the skin,eyes,and upper respiratory,gastrointestinal andthe central nervous system! .Styrofoam manufacturing is the 5th largest creator of hazardous waste. .Plastic bags in the ocean look like jellyfish-turtles and other sea animals eat it and die since they cannot digest the plastic bag. .Styrofoam bits,plastic bags,disposible bottles,etc.,clog up our drains causing floods. Salam ...Kesihatan amat penting kepada kita semua.Dari pemakanan hinggalah kepada barangan yang kita semua guna setiap hari.Umum mengetahui plastik atau gentian dari plumbum amat berbahaya kepada kesihatan terutama menjadi punca kepada penyakit kanser. Disebabkan itu kita semua perlu mernjaga kesihatan.Bermula dengan apa yang kita gunakan di dapur seperti barangan kelengkapan untuk memasak, storage, bekas-bekas air dan sebagainya, semuanya jika tidak kira lihat pada aspek kesihatan sebagai perkara utama, pastinya kita akan terdedah kepada penyakit. Ketahuilah semua, barangan plastik mempunyai kandungan 'styrene, toxins, pet dan segala macam bahan kimia tidak terampai. Hai i'm wan nooraini wan yaacob, i five stras directors off tupperware. 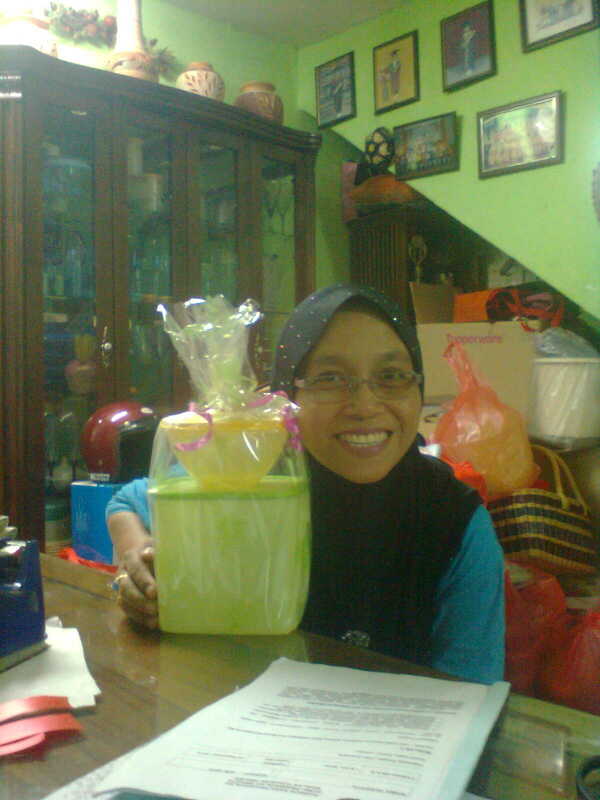 i'm a new person here, created this blog to help me develope my business in tupperware..